HÀ NỘI — The National Football First Division League has its own sponsor after a signing ceremony yesterday in Hà Nội. An Cường Wood-Working Materials Jointstock Company has agreed to pair up with the tournament in a one-year deal in 2018 season. 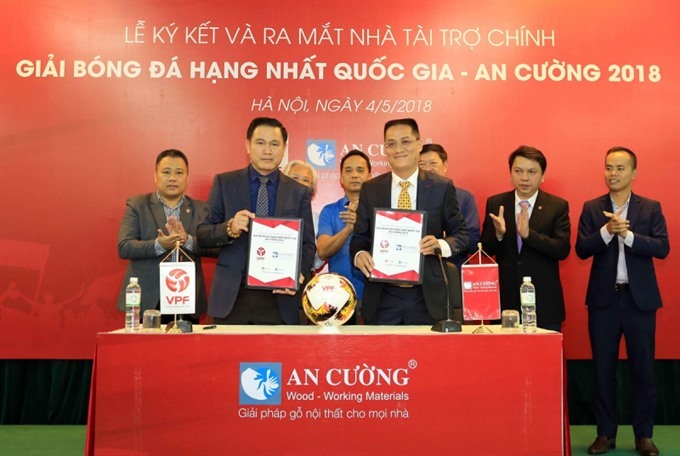 Following the announcement, the tournament will be called the An Cường National First Division League. The winner will take a trophy, a bonus of VNĐ1 billion (US$45,000) and a berth in the V.League next season.